All data, including credit card details, are encrypted using 128-bit security when submitted via this form. Register without any obligation and start ordering today. For registration to take effect LOG ON using the username & password as per the registration confirmation email, then browse products & purchase through our secure ordering system. The system will accept all orders placed. Note: Not all items will be in stock & available. All products ordered are subject to supplier availability. We list & offer quite a large range of products that are available in our industry and cannot possibly stock all of them. Confirmation-Order Placed : Your order has been received at Stationery World and will be processed. Order Shipped-Dispatched : Your order has been dispatched. To keep you informed you will receive email notifications regarding your order status. After you have registered for a C.O.D. account at Stationery World Office Supplies Melbourne and you received your computer generated Username and Password. We recommend you click on "Account Maintenance" now visible (Under the list of products), follow the prompts to bring up your account. Here you can now change your Username and Password to whatever is easy to remember & preferred by you, and then save this information by clicking on the save disk icon. After logging out , the next time you log in will be with your new Username & Password that you requested. 2. Credit Card Customer ( Visa, MasterCard, American Express ) - NO CREDIT CARD FEES ! To ensure accuracy of orders (eg. availability of products & correct delivery charges ) all credit card payments are processed manually and separate from this web site. 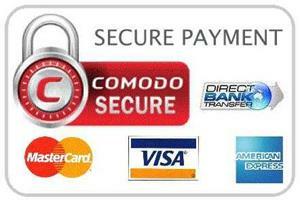 We also accept payments by Direct Bank Transfer into our bank account. If this is your preference, proceed with your order and when you get to the payment section choose Direct Bank EFT Payment . Confirm order & you will see our bank account details. Note our bank details on paper before you proceed or click on Print Preview to print your purchase order including our bank details. If you missed the details see under Terms & Conditions area (top of page) for our Bank Details. If in doubt call or email our office for our banking details. Credit card : ( either Visa, MasterCard, American Express. )-NO CREDIT CARD FEES ! 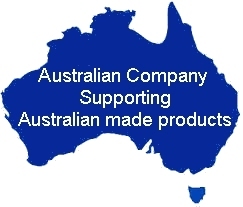 Deliveries are sent by Australia Post & Contract Couriers. Couriers MUST obtain a signature at time of delivery - they are not permitted to leave goods without a signature from someone at the nominated address and will return the goods back to the warehouse in the event that nobody is available to sign for the goods. If this return to warehouse occurs more than once an additional delivery charge will be applicable. We do not ship or deliver on Weekends or Public Holidays. All deliveries are made Monday to Friday. Melbourne Metro area : Melbourne Metro area Delivery postcodes: 3000-3210, 8000-8999. We endeavor to have 2-3 day local delivery service wherever possible for stocked items. Non-stocked items will have to be ordered from suppliers and may take numerous days depending on which local or interstate suppliers non-stocked items are ordered from. Deliveries to Post Office Boxes can only be performed by Australia Post. Express Australia Post Satchels & Parcels Dispatched Daily. Express Parcel Post Satchels offer a convenient, no-fuss way to send parcels anywhere within Australia with the added peace of mind of numbered Post satchels you can view track events of your satchels online (where tracking is available). Each Express Post satchel contains a unique identification number for your records & tracking. * Delivery is not available to Parcel Lockers. Metro Melbourne - ( Melbourne Metro area Delivery postcodes: 3000-3210, 8000-8999 ) a delivery fee of $14.00 will be charged for each order delivered in the Melbourne metropolitan areas. Outer-Melbourne, Victorian Country & Interstate orders - a delivery fee will be charged. Choose the nominal delivery amount of $44.00 ( Beyond Metro Melbourne Area) and customer service will contact you before any goods are shipped advising of the correct calculated amount to your specific area. Larger items and special orders incur additional delivery fees. A charge is made for the delivery of some bulky & specialist products. When a fee is to be applied , customer service will contact you and advise prior to processing and shipment of your order. You can purchase your items online and pick them up at Stationery World. Once you've placed an order and picked your preferred payment option for your purchase you will receive an Order Acknowledgement emailed to you. When the order is complete & ready for pickup you will be advised by SMS text to your mobile or email or a phone call to your nominated telephone number. To avoid disappointment customers who would like to collect their order are advised to call and confirm availability of the products required before you arrange your visit. We list & offer quite a large range of products that are available in our industry and cannot possibly stock all of them. Some items may have to be ordered in for you. The nominal amount eg $30.00 for delivery by post & $44.00 for beyond metro Melbourne delivery is just a nominal value. The web program needs an amount figure, any figure .... and this amount eg $30.00 is entered when you are not sure what the postal or delivery charge may be. Because we have so many different size & weighted products and deliver Australia wide, we have to calculate and price each postal delivery or courier delivery separate. When we get an accurate price for the delivery, we then advise you of this amount and depending on whether you agree or decline, then we either proceed with your order & then charge your credit card or as instructed ... cancel the order because you may believe the amount we advised is too high. Stationery World endeavors to maintain the accuracy of product images, product descriptions, stock availability and prices. Stationery World may change the prices published on our website at any time. Prices of products ordered on line but yet not paid for are also subject to change. Before an order that has a price difference can proceed you will be asked to agree to pay the current price. While every effort has been made to ensure the accuracy of prices, images and information displayed on this site, Stationery World is not responsible for any error and reserves the right to accept or cancel any orders placed and/or reverse a payment if an order has been placed based on erroneous information. Any errors and omissions will be corrected and advised at the point of order. We welcome new Melbourne customers that would like to purchase on a regular monthly basis. 30day credit trading accounts are subject to the normal credit application and approval process. Our Account Trading Terms are simple : Payments are required within 30 days from date of Invoice. We are dedicated to offering you first class service. Your Stationery World products are of the highest quality popular branded products. However, in the unlikely event of a product being less than perfect, please contact us within 7 days of purchase to discuss your problem whether it be a return, repair, replacement or refund. Once your return has been received we undertake to process your exchange or refund ( excluding any delivery fees charged ) within 7 days of receipt. We do not exchange, credit or refund where the purchaser has bought the wrong product, or has changed their mind about the purchase after paying, so please choose your items carefully. Specially ordered in or manufactured products cannot be returned , refunded or credited. My order arrived just now. You have fantastic service, thank you. It�s been a pleasure to deal with your company. I REALLY APPRECIATE the excellent way in which it was wrapped. The diaries arrived in wonderful order. Stationery world was very helpful and easy to deal with. I just wanted to say thank you for your wonderfully helpful and prompt service. I'll be recommending you whenever and wherever I can. Just wanted to let you know I received the order and it was in perfect condition. Thank you for your impeccable customer service, quality products and speedy reply to my queries, those stapler removers are incredibly hard to find ! Wow!!!! That was my expression when the receptionist called me to pick up a package at Reception this morning. I would like to commend you on the speed and accuracy of your service and delivery. I had placed the order at 11:52pm the night before and the package arrived only 12 hours later at about 11:50am the next morning. It is a very rare commodity nowadays when customer service is so outstanding!!! Keep up the good work and I can highly recommend your company to anyone out there that is considering ordering stationery on-line. I received my purchased products at about Noon yesterday. Everything is in perfect working order thank you. Thanks for a fast delivery and easy transaction. I will be buying from you again in the future. Many thanks for your speedy service, the package arrived this morning. Order received, thank you for your prompt service. I attempted to buy this adaptor from Officeworks and they were not very helpful at all I can tell you. the stapler - all works beautifully.